I wanted to share with you one of the easiest shifts you can make, to change your life from feeling Stressed to feeling Blessed. Read the two paragraphs… same events.. totally different feel. I am Blessed…Today I got to speak to a lovely group of women on JOY. Today I got to work at my church, www.northwoods.org and today I got to pick up my kids from school. Today I got to go to my NCL meeting and visit with other wonderful women. Today I got to take it easy after school because I crock potted ribs. Today I got to wish some great young girls a happy birthday. Today I got to wear my fun stripey rubber boots because its raining. Today I got to hug and kiss my husband whom I love so much. Today I got to play HORSE with my son and laugh at my bad shots. Today I got to relax and watch Oprah’s Red Carpet special. Today I got to walk my dog between rain spurts. Today I got to giggle with my favorite daughter! Today was a good day. I am stressed…Today I had to speak to a group of women on JOY. Today I had to work at my church, and today I had to pick up my kids from school. Today I had to go to my NCL meeting and visit with other women. Today I had to take it easy after school because I crock potted ribs. Today I had to wish some great young girls a happy birthday. Today I had to wear my rubber boots because its raining. Today I had to hug and kiss my husband whom I love so much. Today I had to play HORSE with my son and laugh at my bad shots. Today I had to relax and watch Oprah’s Red Carpet special. Today I had to walk my dog between rain spurts. Today I had to giggle with my daughter! Isn’t it interesting that by simply shifting what I “had” to do with what I “got” to do, my whole day sounds and feels better. What if we realized how blessed we were because of all of the things we get to do? What if we realize that it’s not a chore but a choice? Although it sounds simple and somewhat cheesy, this easy shift is one of the most powerful ways to help change your perspective. When shifting this word you go from a burdened overtone to an attitude of motivation and built in gratitude. So let me ask you… What do YOU “get” to do? Two years ago, when our trip to Texas fell through and Andy felt so bad about it, the first thing that came out of my mouth was, “hey, we get to extra days with our kiddos, what’s so bad about that?”. Believe me, I was sooo disappointed that we weren’t making that trip, but I think it was some sort of divine intervention that those words came to me and helped me find the silver lining in that cloud. I *try* to remember that my attitude is a choice, but I need some shaking up on the concept every now & then. Thanks for the shake! I love it! I tell that to my girls all the time. Choose to be happy! You can’t always choose what happens, but you can always choose how you respond to it! 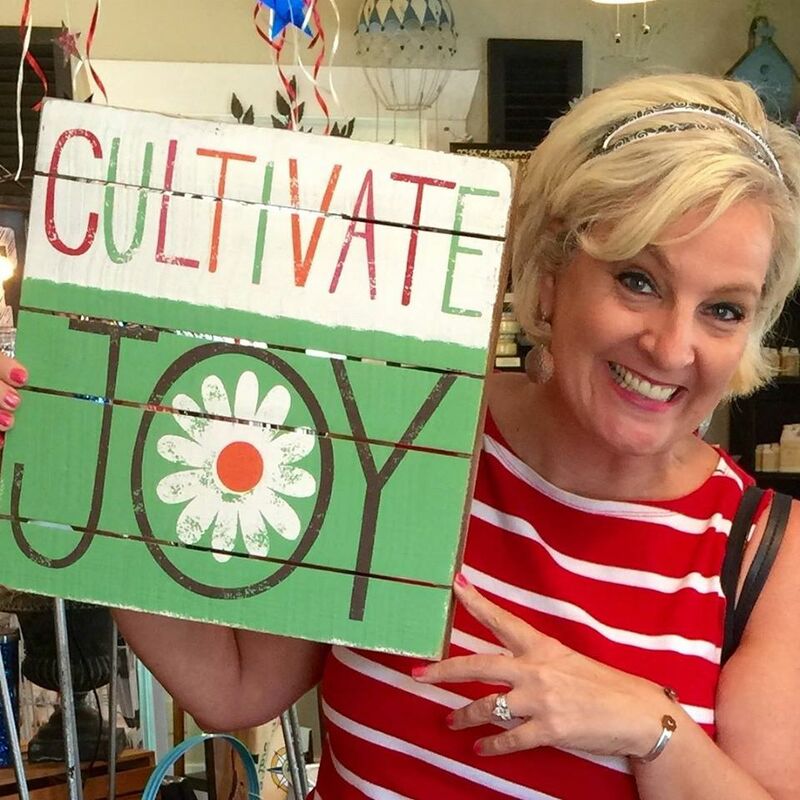 I love your lessons on Joy! It really does put things in perspective – atleast for today 🙂 Thanks for the reminder of how great life can be when you find blessings in every event.